Do not let the talk of cloudy weather deter a visit because Seattle has some boating attractions that cannot be beat. Boat shows and events alongside boat-up restaurants will keep any vacationer’s day busy. 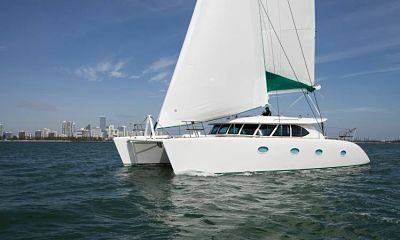 There are boating activities galore that include Natural Parks and cove exploration, sailing and kayaking expeditions, deep sea fishing, yachting, and cruising. 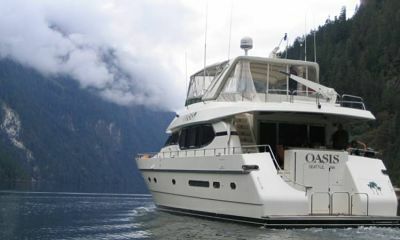 Boaters that choose to rent off the coast of Seattle are sure to encounter an adventure that will keep them coming back for more each year (did we mention that GetMyBoat offers hundreds of peer-to-peer rentals in the Seattle area that will keep the cost of boating down and make room for the “Adventure Fund”). The Golden Gate Bridge and Alcatraz do not have to be viewed exclusively from the shores of San Francisco and the surrounding area. 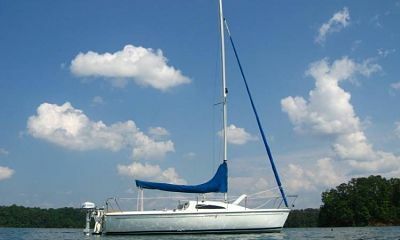 Sailing, boating, and water sports all have their place on the water in the bay and beyond. The endless inlets, marinas, docks, state parks, and beaches can make any boater’s dreams come true. Tours, lessons, and competitions (including America’s Cup to take place June 2013) take place every day. The only thing a boater has to do is show up. Believe it or not, the land of movie making and every imaginable talent offers great boating, PWC, and water sports opportunities. With hundreds of miles of sandy beaches, marinas, harbors, bays, and sunshine, boaters in LA cannot go wrong. Sure, the only wildlife sightings are of celebs on their decked out yachts but the climate, islands, and sheer amount of possibilities for fun more than make up for it. Boating by day and clubbing in the thriving metropolis by night make Los Angeles a must see destination for boating enthusiasts or those who want to be. Contrary to popular belief, surfing is not the only thing worth doing in Long Beach, California. While surfing may have had its start in Long Beach, the water sports and boating communities have flocked to the city that is California’s seventh largest. Deep sea fishing, sightseeing, PWC, and hydro-bike rentals are just a few of the water-logged attractions that boaters in Long Beach have to choose from. This city is just far enough away from LA to escape the onslaught of people but close enough to reap the benefits of a metropolis. While Marina Del Rey is technically part of Los Angeles, it begs to be mentioned. Just glancing at the marina is enough to understand what kinds of boating adventures await the beginner, intermediate and expert boater. Lessons, cruises, renting and chartering are all options enhanced by the pristine ocean and seemingly eternal sunshine of the California coast. This pretty, little city is located just outside of Los Angles but the crowds have diminished and the Pacific is wide open. Boaters that make Newport Beach their destination can choose from numerous yacht chartering services, PWC equipment rental as well as whale watching and sightseeing tours. Even off shore, the activities range from cultural events, wine tasting, and concerts. As if the choice of activities was not enough, the natural beauty of Newport Beach is enough to make any landlubber take to the sea to explore. With 70 miles of beaches, marinas, and boardwalks, boaters in San Diego have a hard decision to make; What should I do first? If you want to remain landlocked for most of the day, Mission Beach and boardwalk should have enough culture and activities to keep you occupied and Sea World is just up the street. However, San Diego offers scenic coastline, effortless seal spotting, and boating too good to pass up. From sailing to PWC to yachting to stand-up paddle boarding, vacationers in San Diego will never get bored. Dubbed the “biggest natural lake west of the Mississippi”, the Great Salt Lake has a lot to offer. Current water levels give boaters a playground 75 miles long and 35 miles wide with ten major islands to explore. The Antelope Island and Great Salt Lake State Parks offer marinas, beaches, historical buildings, visitor centers and numerous recreation areas. Sailing, boating, rafting, kayaking, PWC, and various water sports are popular daytime attractions with tons of guides and rental options available to tourists and locals (including hundreds of peer-to-peer rentals available on GetMyBoat). Those who visit the Great Salt Lake can expect to see wondrous sights and have the time of their life. 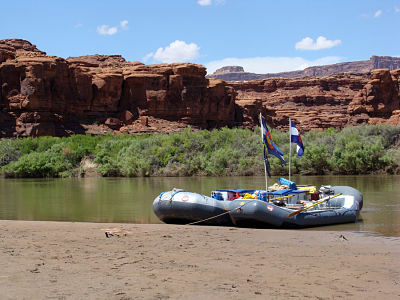 This lake, fed from the waters of the Colorado River and the result of the Glen Canyon Dam, spans two states, Utah and Arizona, and boasts a length of 186 miles, five marinas, and eight bays. Known for the beauty of its red sandstone walls, surrounding landscape (ideal for camping, hiking, mountain biking and climbing), and unbelievable depth, the lake makes for a great vacation destination. Visitors can laze away the days on houseboats or race powerboats across the open waters. Exploration of the numerous caves, coves and canyons of the lake entice those who are adventurous while fisherman have a plethora of peaceful inlets to choose from. Water sports enthusiasts and those who prefer PWCs have miles and miles of water to play in. Stemming from the peaks of the Rocky Mountains in the western United States, the Colorado River flows through Colorado, Utah, Arizona, Nevada, California, Baja California, and finally joins the Gulf of California in Sonora, Mexico. With the beauty that surrounds such a gigantic natural resource, State Parks are situated at the banks of the river, making a summer vacation on the rapids an essential adventure. With multiple tributaries feeding this 1,450 mile-long river, boaters and extreme water sports enthusiasts will have a heyday no matter where their fishing boat, canoe, kayak, stand-up paddle board, or raft is shored.